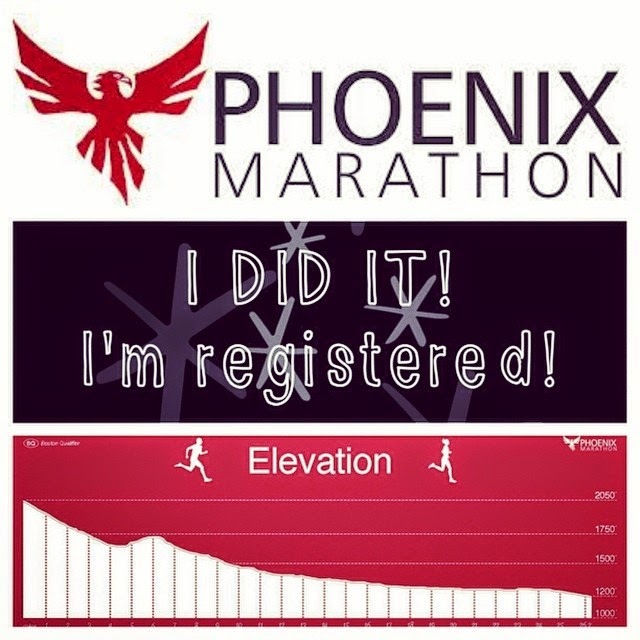 I REGISTERED FOR THE PHOENIX MARATHON! 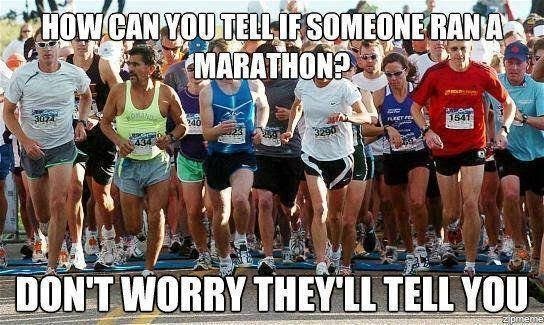 I will be starting my training at the beginning of September (yes, I know that is VERY early, but I am running the Dopey Challenge at the beginning of January, so need to be full marathon trained by then and then STAY trained until the end of February when I CRUSH this race). I am hoping this will be my Sub-4 Marathon (running a full marathon in under 4 hours). I ran my first full in May and finished with a time of 4:13. There were a lot of hills (pretty constant, but nothing too big) and about half seemed to be trail, so although it was an AMAZING experience, it wasn't exactly what I trained for. I am hoping I can ROCK THIS RACE (and then maybe hang up my full marathon shoes for a while - seeing how much training it takes to get ready for one of the races). As I am SURE you can imagine, there will be PLENTY of posts over the next few months during training ;) So you've been warned! Doesn't that elevation chart tempt you to sign up?! I am so tempted I signed up a month ago! Lol! So pumped we are doing this together! Since I am doing the Dopey Challenge (5K on Thursday, 10K on Friday, Half Marathon on Saturday, and Full Marathon on Sunday) I needed to talk to a couple people to make sure I would be physically able to do it (as well as I could do it STRONG, FAST, AND INJURY-FREE). Since I am able to defer a year if something comes up between now and then, it made the decision much easier (I can always see how my body is feeling after Dopey and make the call at that point). WE ARE GONNA ROCK THIS RACE! !